It’s easy and convenient to use. Enroll Today! Save time, money and stamps by using our online bill pay service. LCB offers free online bill pay to all checking account customers. Instead of writing a check to pay for a purchase, use a LCB VISA Debit Card. It’s quick, easy, and safe. 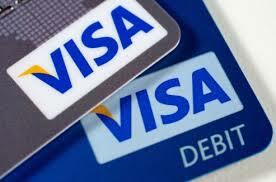 You can use the LCB VISA Debit card anywhere VISA is accepted. For your protection, LCB VISA debit cards are issued with a preset limit of $1,000 per day on purchases and $500 cash withdrawals per day. Limits can be raised by contacting LCB at 1-479-938-2511. The LCB VISA Debit card allows you to access your accounts by ATM’s using your Personal Identification Number (PIN). The new mobile app that lets you track your LCB accounts. Check your account – anytime, anywhere, for FREE! With the Shazam Bolt$ app, you can automatically receive email alerts 24/7 whenever a debit card purchase is made where your card is not present, such as telephone or internet orders. You’re also notified when potentially fraudulent activity occurs, including purchases for large amounts or transactions in foreign countries. You’ll know right away whether the purchases are valid… so you can call immediatley and put a stop to any fraud! Requires customer to have a LCB VISA Debit Card and smart phone or home computer. Download app at either Google Play or App Store! Sign up for e-statements and get your LCB bank statement through LCB Online Banking. Call 1-479-938-2511 to set up your e-statement account.